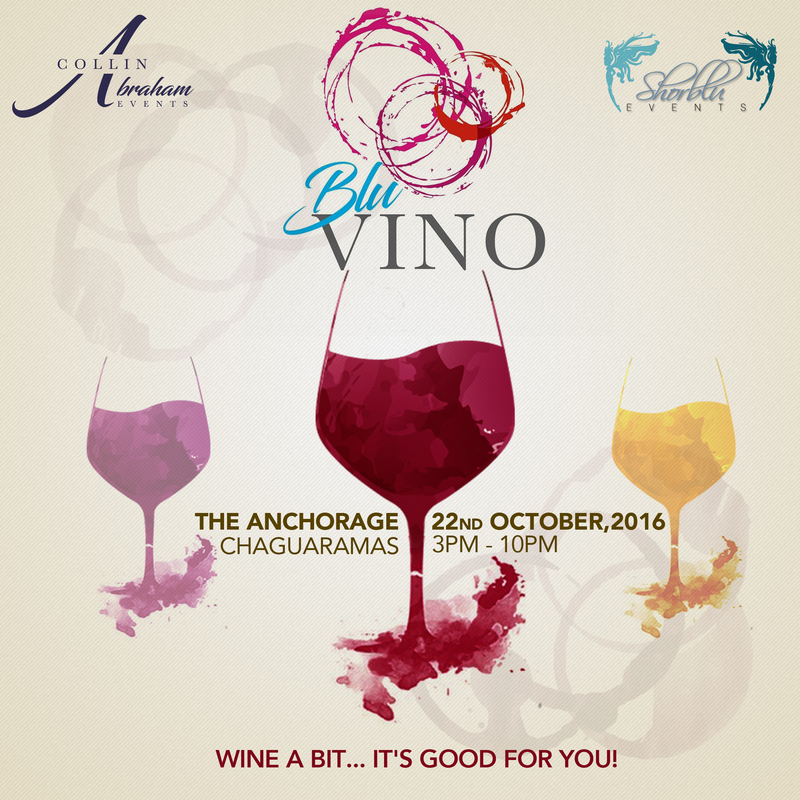 Blu-Vino Trinidad, the essence of wine tasting. The event seeks to bring together wine lovers, and wine enthusiasts alike from all over Trinidad & Tobago for an evening of delicious wines, tasting, pairings & live entertainment..
We have amassed an amazing selection of Red & White Wines, local & internationally produced, as well as Champagne, all of which will be served throughout the evening. Additionally, at Blu-Vino Trinidad, we're putting your taste buds to the test by allowing you to individually score your favorite wines as you use the 5-(S)'s of wine tasting, SEE, SWIRL, SMELL, SIP & SWALLOW. Seduce your senses with textures, flavors & bouquets of wines from around the world, while indulging in sumptuous Cordon Bleu delights paired by our sommeliers & our Chef from the Ritz Carlton. Blu-Vino's evening will not be complete without music from the great David Rudder, who will entertain you at the sunset hour. We look forward to seeing everyone of you at Blu-Vino... Wine a bit, It's GOOD for you! Please note, Your Credit Card Will Be Charged In USD. The TTD Amount Is Calculated Using The Exchange Rate Of $6.69 TTD To $1.00 USD. PHOTO ID & THE CREDIT CARD ON FILE ARE REQUIRED FOR VERIFICATION. YOU MUST ALSO PROVIDE A VALID PHONE NUMBER FOR THE TICKET VERIFICATION PROCESS, IF NOT YOUR ORDER WILL BE VOIDED. PLEASE SECURE YOUR TICKET(S) FROM ANY UNAUTHORIZED PERSONS, ANY STOLEN, LOST OR DUPLICATED TICKET(S) WILL BE VOIDED AND NOT REPLACED.